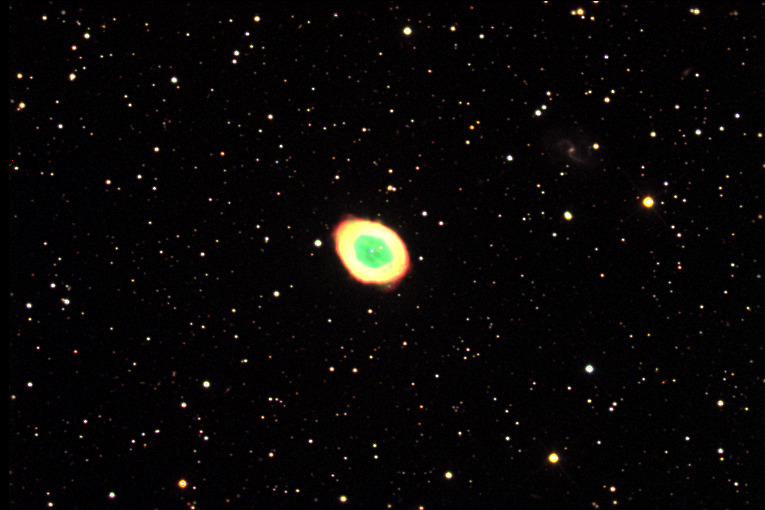 M57 – The Ring Nebula, 2009. 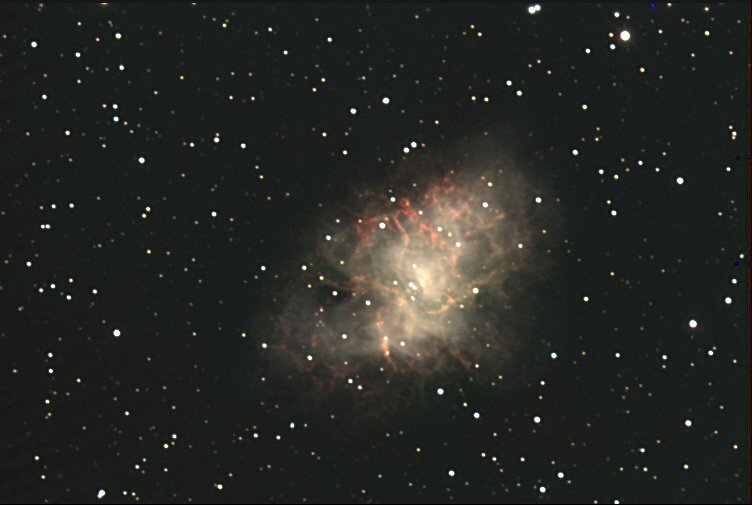 M1 – The Crab Nebulae, 2011. Photo by B. Lyons, E. Strange, M. Sutherland, X. Winder, and Dr. Foster as part of a 74:284 Stellar/Galactic Astrophysics Group Project. Photo by J. Moes and processed by Dr. Foster as part of a 74:390 Advanced Physics Laboratory student project. 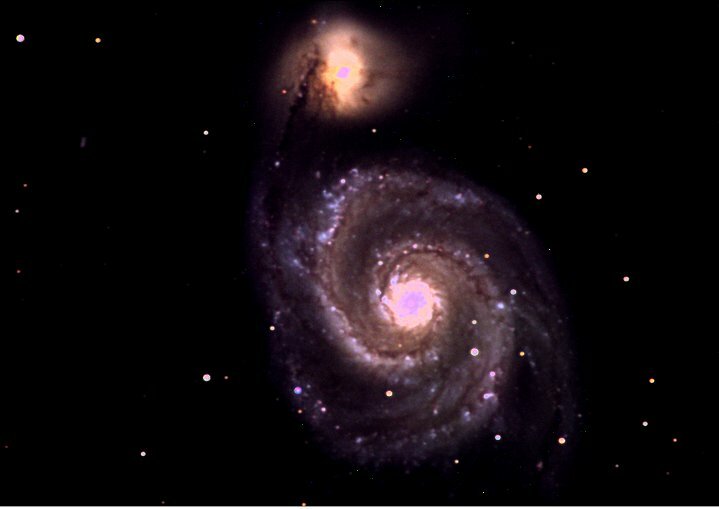 M51 – Whirlpool Galaxy with supernova, 2011.